When planning to purchase a yoga mat, the decision-making may be a challenge to some since there are plenty of choices in the market. 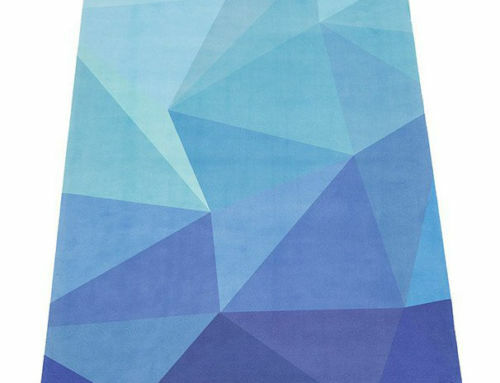 Whether you are a beginner yogi or an expert, choosing a new yoga mat can be difficult. There are various brands and choices that will require a long time to check the reviews and research about the best yoga mats available in the market. Before you decide to purchase a yoga mat in a store or online, check out this review of Aurorae Classic Thick yoga mat. We will also discuss the different features one must consider when looking for a new yoga mat. Is The Aurorae Classic Thick Yoga Mat The Best Choice For You? The Aurorae Classic Thick yoga mat is the flagship yoga mat of the company. It is designed with a moon focal point which can be used to focus on when performing different yoga poses. It provides a stable and non-slip surface when performing different yoga poses. It is made from biodegradable, eco-friendly resin and does not contain any toxic chemicals. It is successfully tested by SGS testing agency from harmful substances. Its dimensions measurement is 72” Long x 24″ Wide x 1/4″ Thick; it is longer than a standard yoga mat. It is available in 12 different colors to choose from, you will find something that will fit your personality perfectly. It comes with a rosin bag that can be used to prevent you from slipping especially during the first you use it. The Aurorae Yoga mat is advisable for beginners in yoga or for those who have been practicing it for a long time and needs a second mat to switch up their mats from time to time. It is affordable and it comes with a 2-year guarantee. It is not advisable for yogis who are practicing hot yoga or active yoga that requires a lot of movement and flow because its material is not moisture and sweat absorbent. If you are practicing yoga while watching yoga videos online or if you want to use it for a simpler form of yoga like Restorative yoga, this mat is perfect for you. When cleaning for the yoga mat, it is recommended to use a brush with soft bristles and soap when cleaning the mat. Other cleaning materials such as conditioners will make the mat slippery. Clean the mat using soap and warm water or the Aurorae Yoga mat cleaner. Make sure to rinse thoroughly to remove all the dirt and soap on the textured surface of the yoga mat. After washing or cleaning it, you must air dry it outside, never use driers. Do not hang it directly under the sun, since the mat is made from biodegradable materials, it can easily break down and fade. Aurorae Classic yoga mat is a definitely one of the yoga mats that is worth investing, with its low price and great quality it gives, makes it a perfect choice for beginners and even long-time practitioners of yoga. Aurorae yoga mat is the best, it is durable, made from biodegradable and eco-friendly materials and it is made with the perfect thickness and cushion which makes it comfortable to use and non-slip traction. Aurorae Classic Yoga mat is 1/4 inch thick and it is perfect for protecting the knees and joints when performing different yoga poses. Thicker yoga mats may cause problems with balance and even worsen the joint pains. Aurorae is made with the right amount of thickness and cushion so it is perfect with providing balance, stability and a good stretch every yoga session. It is also longer than the average yoga mats in the market, which provides the much-needed space whenever you need to perform different yoga poses such as pigeon pose. It also helps when the yoga studios have hard floor surfaces; it will prevent you from getting injured or experience pain when coming in contact with the hard floors when executing various poses. Aurorae Yoga mat is made from eco-friendly materials that do not contain any toxic chemicals that may cause damage to your skin especially to individuals who have a skin allergy. It does not contain latex, rubber, phthalates and other chemicals that are considered toxic and may affect the environment as well. The mat does not smell like chemicals from a factory when opening the box for the first time. Yoga mats with a weird chemical smell can affect your yoga practice, especially when attending classes with other yogis. Unlike other mats, Aurorae yoga mat works well even for other exercises such as Pilates, meditation and stretching before and after yoga classes. By using this mat for various exercise regimens, it saves you money, time and effort, instead of you looking for another mat to use for Pilates and other exercises. 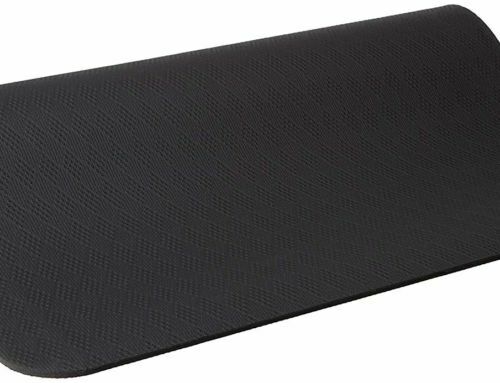 This yoga mat is made with durable material that allows you to use it for a long time. It is guaranteed to withstand stretching and other movements during yoga, stretching, Pilates, and meditation. 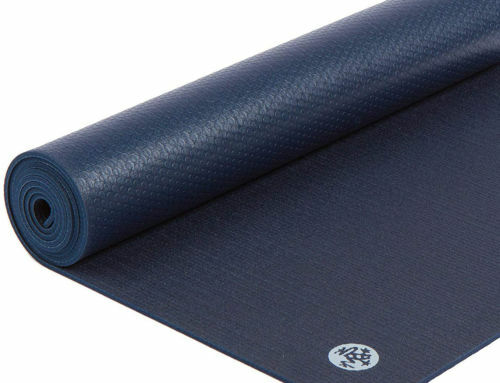 When performing difficult and challenging poses frequently, the yoga mat may stretch and easily break if it is made from low-quality materials. When planning and looking for a perfect yoga mat to purchase, it is normal to check and read about user reviews on different websites. Aurorae yoga mats got a very high review of 4.5 out of 5 with more than 2100 reviews on Amazon. By scrolling and reading various comments about the mat a lot of users say that it is a brand that is worth buying. It is perfect for beginners and even expert yogis that have been practicing yoga for a long time. The 5-star reviews mentioned that the Aurorae yoga mat is very reliable, easy to use and clean after every yoga session and considered as one of the best yoga mats in the market. A lot of users find it very affordable as well. One user mentioned that it was easy to clean because it is not made with a complicated design, unlike its competitors in the market. It is longer than the standard mats in the market. It comes with a 2-year guarantee and excellent customer service. It has various colors to choose from, available in 12 illuminating colors. It is made from non-toxic, Eco-friendly materials. It comes with non-slip rosin to prevent you from slipping and sliding during the break-in period. It does not smell of chemicals like some of the mats available in the market. It is easy to care for, just use water and soap and air dry to clean it. It is affordable. The thickness and length provide great cushion and padding when performing various yoga poses. It needs to be washed and air-dried overnight before using for the first time. You will need to purchase a separate bag for you to be able to carry it around, especially when going to yoga classes. It tends to be slippery when used for Hot Yoga, active yoga or other strenuous exercises. It wears easily after a few uses. The top and bottom edges of the yoga curl up after using for a long time. Some users complained that it becomes slippery when they sweat too much. It is not as durable compared to its counterparts in the market. Aurorae yoga mat is perfect for yogis who are socially involved especially those who are concerned with Mother Earth and prefer using Eco-friendly and biodegradable materials. With a dozen color choices to choose from, you are rest assured that whichever mat you choose from you will enjoy using it for a long time and if you are not satisfied with the mat, the company offers a 2-year guarantee and the company is known for their excellent customer service. It has a non-slip surface and durable material that will last for a long time. It is easy to carry around since it only weighs around 3.5 lbs. Aside from yoga, it can also be used for meditation, Pilates and stretching. Although this mat requires breaking in, the resin bag that comes with it will greatly help from slipping and sliding. Hopefully, after reading this Aurorae Classic Thick Yoga mat review, you will be able to make an easier decision, especially if you are a beginner in yoga and you are searching for the best mat that will provide you with a comfortable experience with its cushion and prevent knee and joint pain. What are the features to consider when looking for the best yoga mat? When choosing a yoga mat, there are various characteristics that must be checked and validated accordingly. If you love the mat you have chosen and it fits your yoga needs, then it will help you fully enjoy your yoga experience. Hopefully, the information we will discuss here will help you make an informed decision before deciding to buy this yoga mat. After all, one yoga mat may be the best for one user but not for the other. Each person has their own needs and it all boils down to the personal preference in the end. Yoga mats are either thick or thin. For individuals who have sensitive joints, they have to check for the thickness of the yoga mat. During yoga classes, an individual’s weight will be placed on various joints like the knees and elbow as you perform different yoga poses. Thicker yoga mats will provide cushion and while providing stability and balance at the same time, hence the most recommended thickness of a yoga mat is around 5-6mm, if you choose thicker mats it will affect your stability and balance when performing various poses. The grip of the yoga mat is very important. When performing various yoga poses, it is important that you will not slip and slide. A slippery yoga mat will interfere with your yoga session and it may also cause injury and other accidents. When you are planning to buy a yoga mat, you have to think about what you will be using it for. It will depend on what type of yoga you will use it for, like for example if you will use it for Hot Yoga, you will need an absorbent and a material that provides excellent grip to prevent you from slipping and sliding while doing various poses. The type of material your yoga mat is made of will determine a lot of factors such as its durability, grip, cushion, and density. It will depend on which type of yoga you will use it. There are yoga mats that are heavier and denser than others, and these are the ones that provide better traction or grip and are guaranteed to last a long time even with frequent use. Thicker and softer yoga mats may affect your stability and balance while performing difficult poses like downward dog pose. Yoga mats that are created from natural, Eco-friendly and biodegradable materials are important especially for yogis who are concerned with the environment. There are yoga mats that are easy to clean, with just soap and water. The weight of the yoga mat will also matter if you are always traveling and you have to carry your yoga mat to class. The average yoga mats measures 68 x 24 inches. Longer and wider mats provide you space so you can perform different yoga poses like Pigeon pose, it will prevent your mat from bunching up. For taller individuals, their elbows and knees will not off the sides and touch the hard floor surface, and some yoga studios have carpets and could be dirtier. Durability of yoga mats are important, especially during Active yoga styles that will require a continuous flow of poses. If you are using cheap quality materials, it will be easily ruined like for example having holes, indenting or flaking. Poses like the Downward dog will require you to put pressure on the hands and feet in opposite directions and with this pose, it can cause the mat to stretch or tear if it is made of low-quality materials. Yoga mats that are made from thick and dense materials will hold better and prevent stretching and tearing even with frequent use.